Dated back to 1875, Audemars Piguet is a private luxury watchmaking company founded by Jules Louis Audemars and Edward Auguste Piguet. Both Audemars and Piguet were watchmakers before they created the company together. 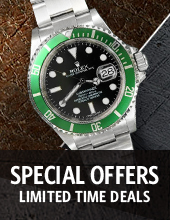 Their most popular model, Royal Oak, made its debut at Baselworld in 1972. Some call it the first luxury sports watch ever. 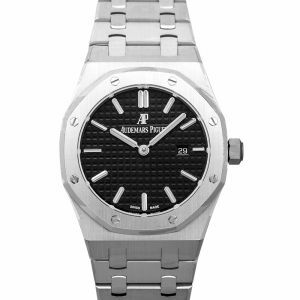 Besides the Royal Oak, Audemars Piguet has created beautiful, timeless and classic wrist pieces..
Wristwatches are one of the trendiest gadgets on the list of all fashionistas. Every person with a diligent sense of fashion and latest taste wants to keep a collection of Audemars Piguet. Why so? Without a shadow of a doubt, Audemars Piguet guarantees a variety of qualitative products in different ranges, styles, and designs. Audemars Piguet, the name of quality and trust, promises you products you are worthy of. Audemars Piguet does not compromise on their clients’ requirement. They try their level best to necessitate the purchasers and extend their best services to their clients. 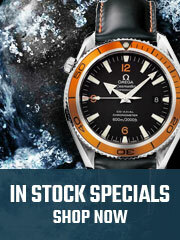 With their nuanced production, they have created a rigid fan base among the wristwatch lovers. 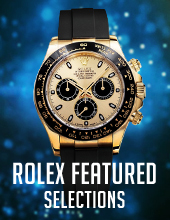 Buying an Audemars Piguet watch is quite a high-class deal for those who want to sport it. It establishes the fact that they are keeping an active eye on the market. 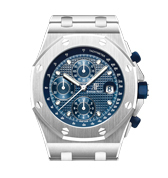 Audemars Piguet price varies from product to product. 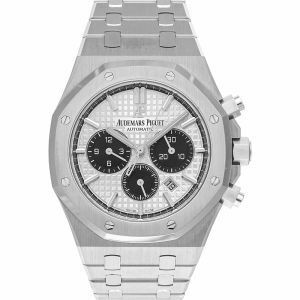 For instance, Audemars Piguet Royal Oak Offshore chronograph is worth $21,900. It is a wonderful timepiece to don; black and stylish, Audemars Piguet Royal Oak Offshore chronograph gives a sporty and stylish look to your overall wear. 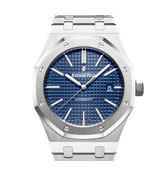 Royal Oak is the most popular category of Audemars Piguet with no one in close proximity to it. 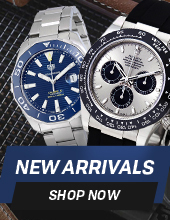 We can only try to unleash the features of this huge category in one go, as it is barely possible to include everything about this extravagant category of beautiful timepieces. 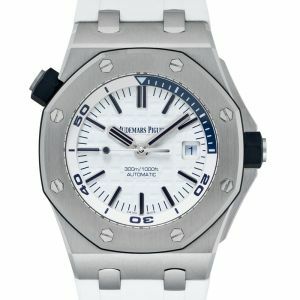 When Audemars Piguet was initially introduced in the market, the manufacturers boasted about their new launch and named it as steel sports watch. Audemars Piguet Royal Oak price is generally considered to be equal to that of a gold watch. Now, this one is a heavenly piece from Geneva featured in rose gold color. The dial is of pure black color while the rest of the piece including the strap and the case is colored in rose gold. In fact, it is a unisex timepiece that both men and women can don. The strap material is bracelet-like. The case diameter is 39 mm wide. The water cannot damage the piece as it is resistant to water. This timepiece is presented in a unique and out-of-the-box color. 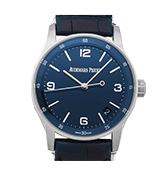 The mesmerizing royal blue color of this sporty watch gives it a specific look. The very thick strap is made out of rubber, and the thickness of the strap can be measured as 14.00 mm. The dial is in blue color with prominent yellow watch markers. The case is composed of merely stainless steel. Audemars Piguet has been manufacturing classy products for over 140 years. They adhere to the demands and desirability of all their customers, and hence they are a big name in the respective industry. They come up to the expectations of all people who look up to the Audemars Piguet. This timepiece is a handsome combination of silver and grey. The case is in grey while the strap is in silver. The entire manufacturing of the product has been done with stainless steel. It is of a typical design which most men would love to pull off. The conventional look makes it manlier. It is by far the most stylish product offering multiple features. It comes with a troika of extraordinary colors, which are green, black and off-white. The strap made up of rubber is multicolored. The case is 44.0 mm wide. The watch markers are stylized as batons. The case is available in stainless steel. The overall branding of this product is very jaunty and cool. This timepiece is an elegant choice to make for the wristwatch lovers. The strap material is of alligator-type, that too in brown color. Since the strap is not too wide, you can sport it with sheer elegance. The dial is also presented in the same color as of the strap, while the case remains mild silver and stainless. The watch markers consist of Arabic numerals. On the other hand, the clasp is given with pins. Switzerland is the most advanced country manufacturing watches of numerous kinds for both genders respectively. 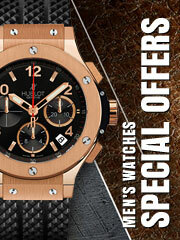 To your amusement, the rivals of Audemars Piguet and other huge names of the watchmaking industry are also Swiss. One of the leading companies of the globe, Audemars Piguet, is still owned by the founding families, Audemars and Piguet. These business families see to the rapid headway. They are guaranteeing the ceaseless growth of the brand in the global market. Audemars Piguet stepped up the what it meant to be a watch manufacturer with their beautiful, complicated watches. 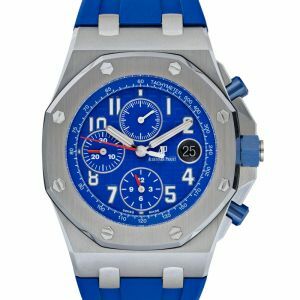 When you’re looking for a sophisticated, durable, but still bold statement piece - Audemars Piguet has got it with two of their most popular collections between their Royal Oak and their Royal Oak Offshore.